I wanted to share something that warmed my heart. “I had what I considered a breakthrough and an epiphany: ‘The man I’m waiting for already exists, he isn’t going to appear when I meet him. He’s already here, living his life. I don’t need to crane my neck looking for him at a bar or the grocery store. When it’s the right time for us to meet, he’ll show up! '” He did show up. And now the pair are making beautiful poetry together, literally. 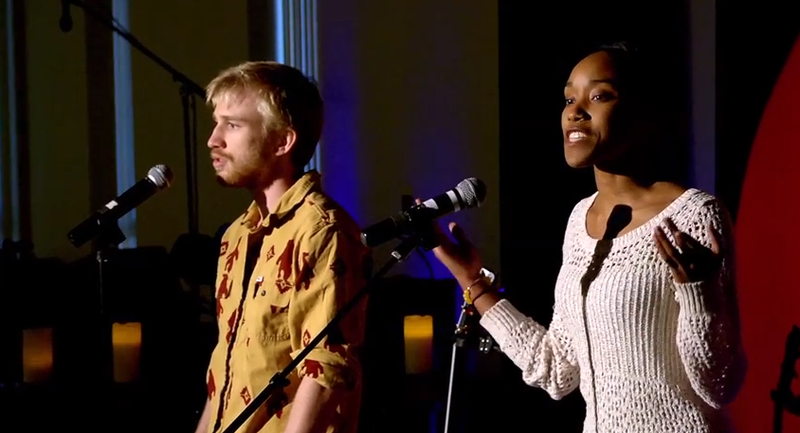 Ingrid and Hamilton call themselves the “Twin Soul Poets.” And here they are performing their moving poem Loving. You never know where a partner will appear. You don’t know what he or she will look like, how they’ll sound, what they’ll say. But if you know how you want it to feel when you meet, you will draw your other half — your half-orange, your own twin soul — closer every day. I hope this inspires you the way it did me. And I wish you all LOVING like this in your Beautiful New Year.